The Everglades is characterized by seasonal hydrologic variation that expands and reduces aquatic habitats. 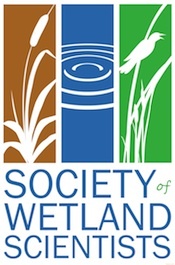 Fish like Eastern Mosquitofish (Gambusia holbrooki), Bluefin Killifish (Lucania goodei), Golden Topminnow (Fundulus chrysotus) and Sailfin Molly (Poecilia latipinna) annually move to and from temporary wetlands. Field studies have indicated cyclic changes in activity and directionality for some fishes moving across the landscape and that rates vary among species. Laboratory experiments were performed to test the hypotheses that personality traits related to migration, including boldness, exploration and activity vary among fishes from locations with different hydrology and during periods of differing hydrology. Strong dispersers like Eastern Mosquitofish and Golden Topminnow were bolder when water levels were changing and were superior, as explorers of unknown environments, to species whose populations take longer to recover in seasonal wetlands. Poorer dispersers like Bluefin Killifish and Sailfin Molly lacked variation in personality traits related to seasonal dispersal. The results confirm prior studies showing seasonally changing activity levels by migrating fishes and demonstrate that seasonal personality changes are partially responsible. 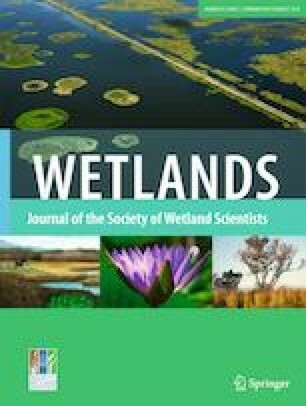 Understanding how and why fish move into and out of temporary wetlands is critical to the management of short-hydroperiod water levels to maintain an accessible food supply for wading birds. The online version of this article ( https://doi.org/10.1007/s13157-019-01147-w) contains supplementary material, which is available to authorized users. Joel Trexler and Christopher Blanar provided input that contributed to this work. T.J. Wilkins, Emily Harrington, Jessica Toledo, Daryl Logan, Laura White, Rachel Tonia and Megan Bruce provided assistance in the field and laboratory. Emily Schmitt Lavin, Pilar Fernandino, the NSU Biology Department and the Parker Laboratory Staff helped with research space issues. The project was supported by a President’s Faculty Research and Development Grant from Nova Southeastern University’s Office of the President. All work was done under permits from the Florida Fish and Wildlife Conservation Commission (S-14-12, S-15-07, S-16-03 and S-17-04) and Nova Southeastern University’s IACUC and followed accepted standards for humane use of fish in research (Use of Fishes in Research Committee) 2014. The authors acknowledge the Everglades Depth Estimation Network (EDEN) project and the US Geological Survey for providing the depth data for the purpose of this research.